As many fight fans know, Bellator 105 on October 25th will feature three fights featuring three of New Mexico’s most talented 135-pound fighters. Our state has grown accustomed to the influx of sub-155 pound fighters who often compete in the regional ranks. More often the not, local fight cards are filled with lighter weight match-ups and any fight in the heavier weight classes end up being rare, feature fights. That all changes when Bellator MMA brings their third fight card to the state of New Mexico. “Big Country” and the “Angry Aztec” are set for action inside the Bellator cage and the duo will serve as the state’s representatives in heavier weight action. Lovato Total Fitness fighter Josh “Big Country” Lanier (4-7) is the local Jiu Jitzu wizard’; having dozens of grappling accolades to his name, Lanier is one of the more prominently successful grappling-based fighters in the area. He has an incredible guard game and works effectively from his back. 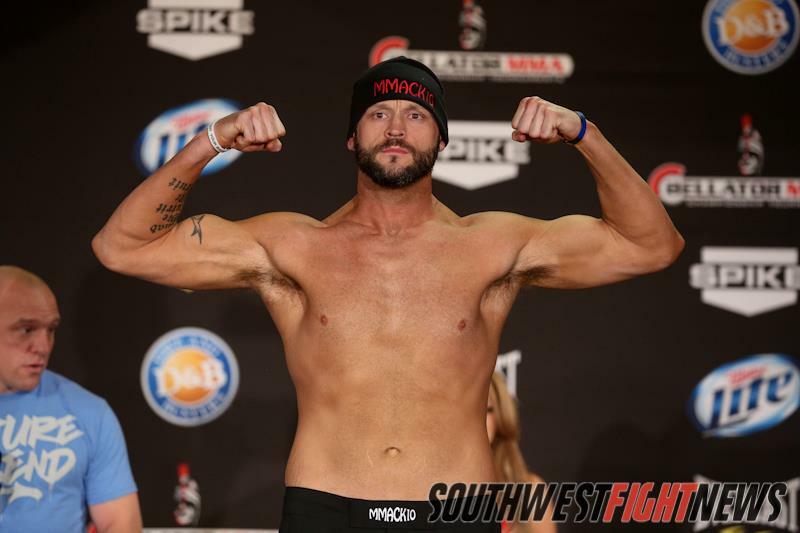 Lanier is a 6″6′, long-limbed fighter and while he has spent time competing beneath 200-pounds, his Bellator 105 bout will be contested in the 205-pound Light-Heavyweight division. You could say that Lanier is fighting for more then a win on the 25th and he is also fighting for redemption as Lanier lost his Bellator debut back in February. Fighting in the Heavyweight division, Lanier stood toe-to-toe with one of Bellator’s top tournament fighters, Josh Appelt. Unfortunately for Lanier, he would succumb to a TKO early in the second round. The Jiu Jitsu Ace would bounce back in August where he’d pick up a very quick submission victory. 75% of Lanier’s career victories have been by way of submission and he will have a tall task ahead of him when he takes on the undefeated Switzerland prospect Volkan Oezdemis (9-0). The foreign phenom has won seven of nine by way of knockout making this bout statistically a perfect style mismatch. In a bout between two very experienced fighters, Albuquerque’s Rocky Ramirez (4-4-1) will surprisingly give up 32-fights in his bout with Wisconsin’s Eddie Larrea (17-23-1). The Middleweight Ramirez is also the coach of the local Westside Power Gym and while he is on a two-fight skid, the “Angry Aztec” has been one of the more active regional fighters. Ramirez competed at the MMA Fight Pit which was held inside the infamous Pit and has also participated in the Bellator MMA and Jackson’s MMA Series events. Opposing Ramirez inside the cage, five-year fight veteran Larrea will be competing in his impressive 42nd fight. On average, Larrea has kept busy with approximately eight fights per year since turning professional. That busy schedule has placed Larrea in the cage with notable opponents Brock Larson and Ramico Blackmon. The Next Level MMA fighter has finished every opponent in each of his seventeen victories by either knockout or submission suggesting that his fight-to-the-finish style may mean Ramirez will have a real fight on his hands. Ramirez has never been stopped by knockout however and that fact may suggest that Larrea may need to ground this fight to find an advantage. Ramirez has very solid striking and fine tuned technique which may present a major problem for Larrea who despite being tough to finish by strikes, has found himself on the bad end of grueling judge’s decisions. Stay tuned to SWFight.com for more event coverage, fight breakdowns and analysis. As always, SWFight will be your home for all of the local coverage of a major event. Help us send our support to our local, hard-working fighters and make sure to get your tickets from your favorite local Bellator competitor before the October 25th event date. For more updates make sure to follow Phillip on Twitter at @KingStark24 and the Southwest Fight News twitter at @SWFight.